Today's computers are made of many parts from various manufacturers and few of us know where all of our computer's components come from. 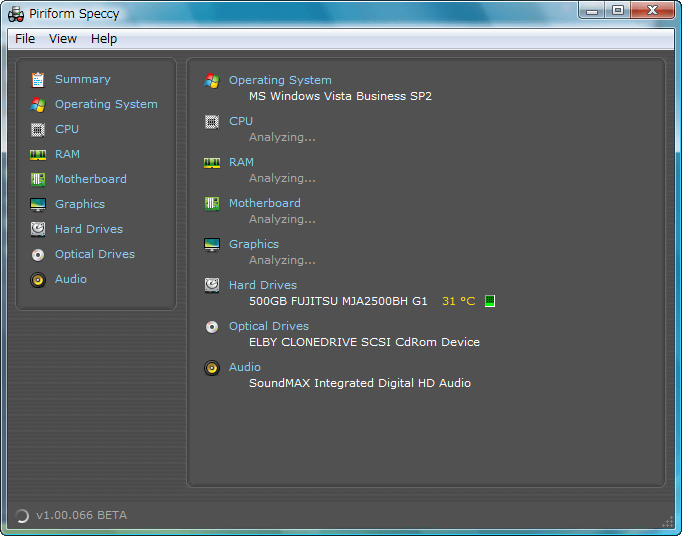 In that case, this "Speccy" will be a great help. 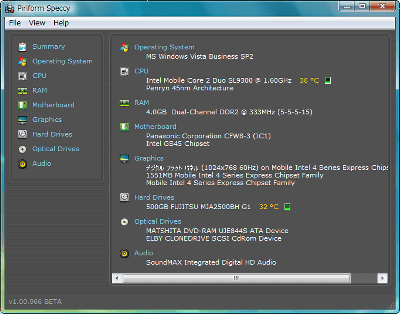 This software shows every information of your computer's components. 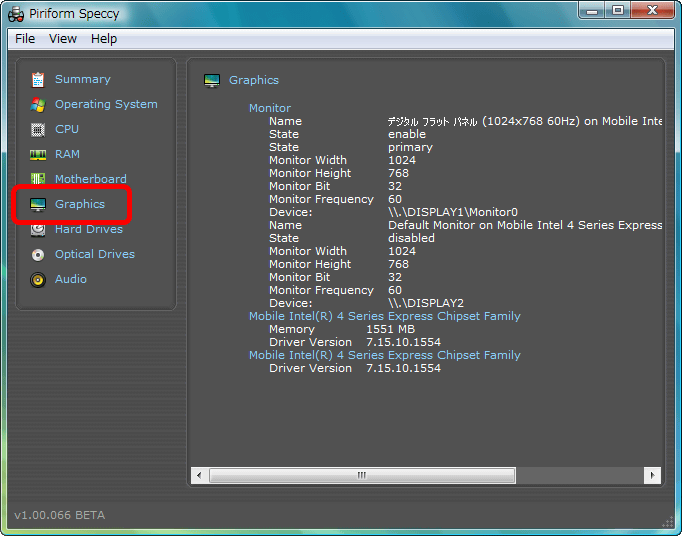 And by taking a snapshot of your system spec, you can send it to your nearest computer guru and ask for advices. 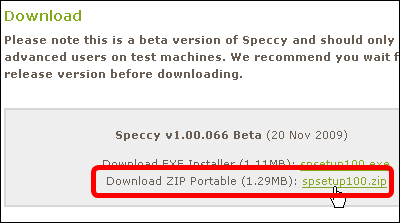 There are both an install version and a portable version. This time we tried the portable one. 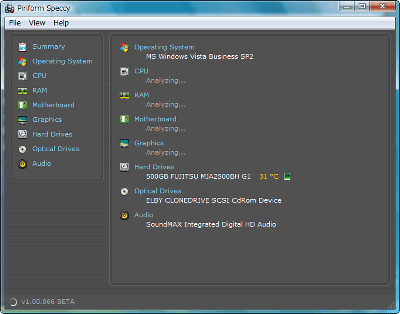 You will get Speccy.exe after decompressing a downloaded file. Analysis begins on booting the software. Soon you will get result. Analysis complete. 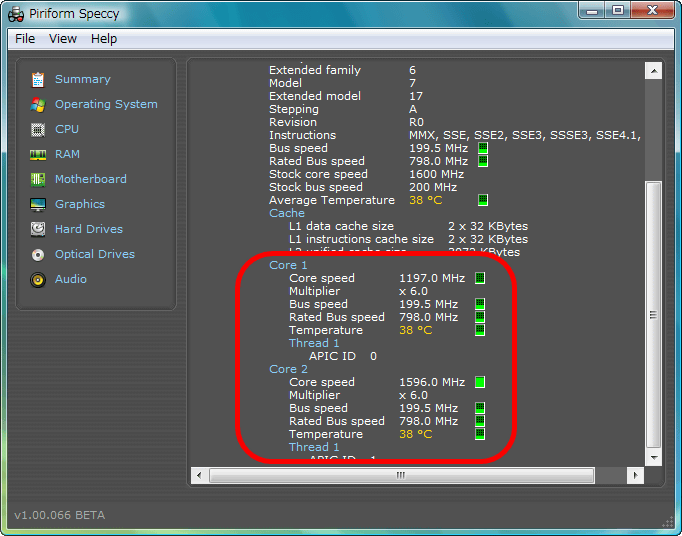 Here's an example of result, showing spec of Panasonic's CF-W8 laptop. 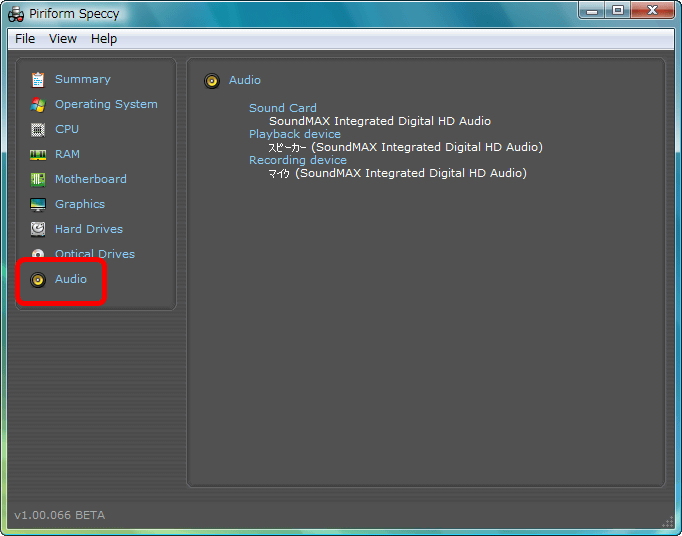 Notice that the software can detect even a phantom CD/DVD drive. 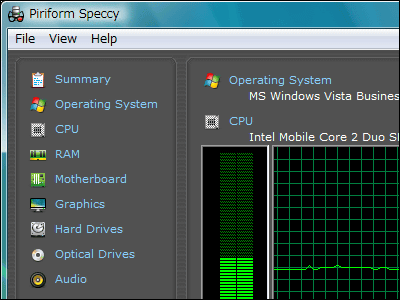 Clicking on a little icon next to a CPU spec shows a task manager-like temperature graph. 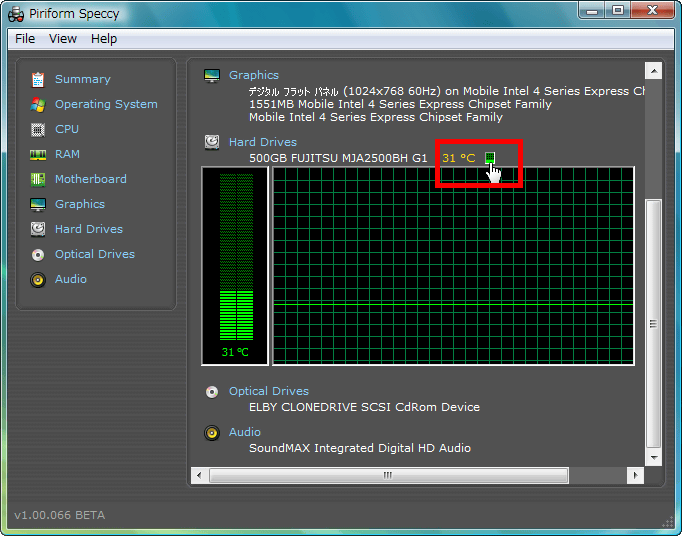 You can also see HDD temperature graph. 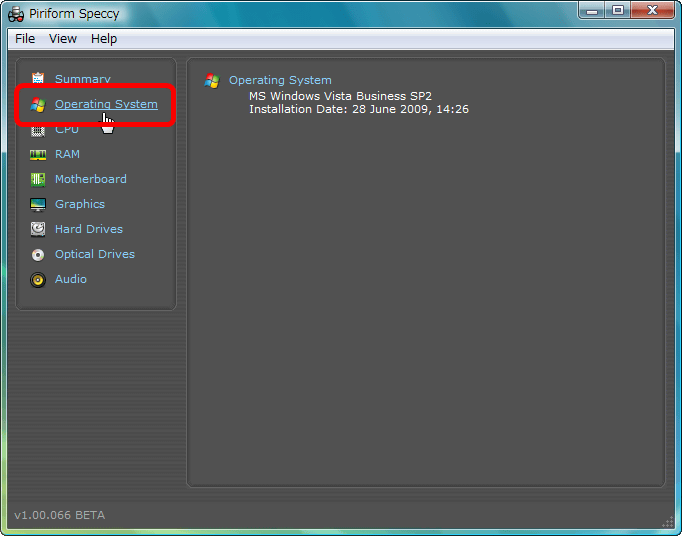 "Operating System" shows you what version and the date you installed. 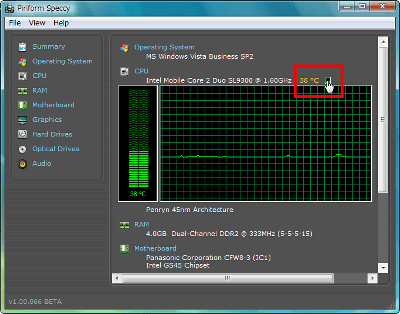 Click "CPU" to know detailed info of your CPU. 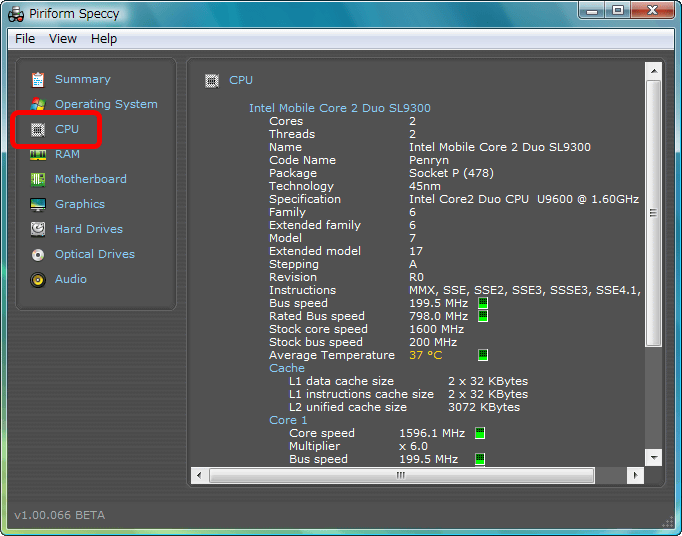 If you got multi-core CPUs, the software shows info on each cores. 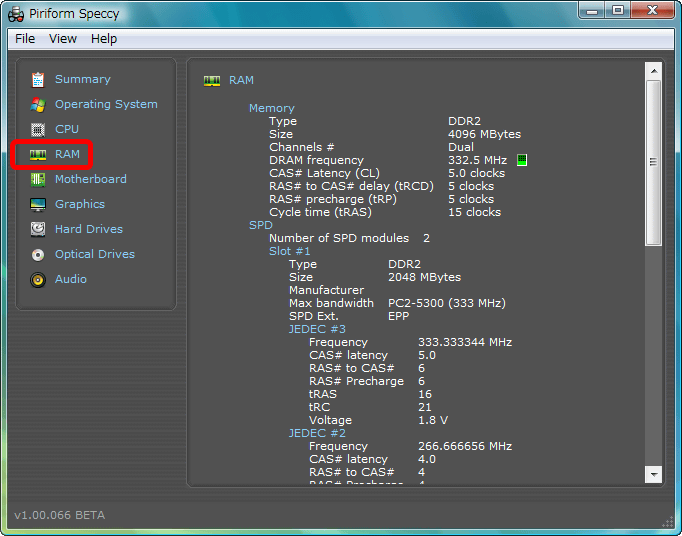 "RAM" shows memory chip information. 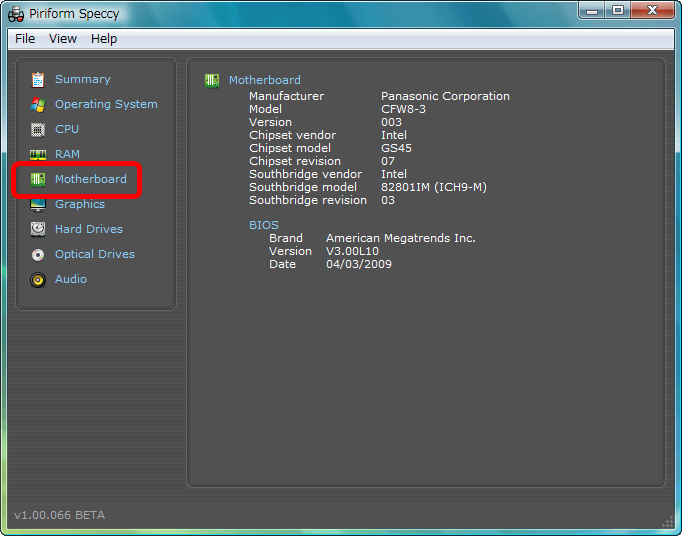 "Motherboard" shows a manufacturer and chipset information of your motherboard. 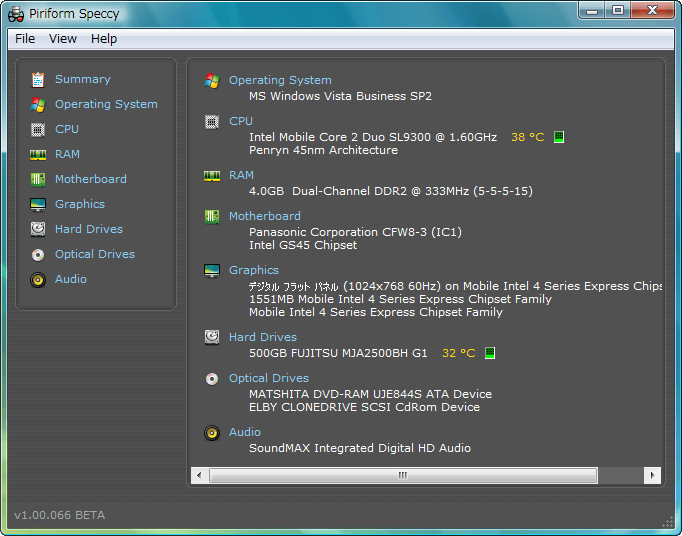 It also tells you which BIOS the computer is using. 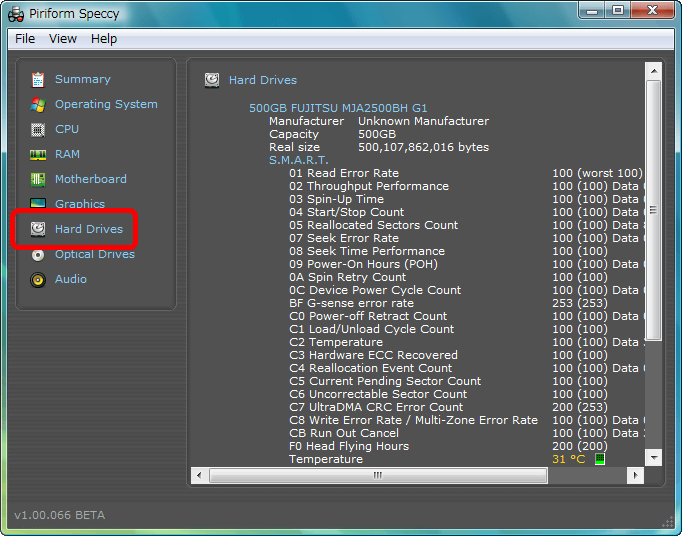 "Hard Drives" to know HDD specs and S.M.A.R.T. statistics. 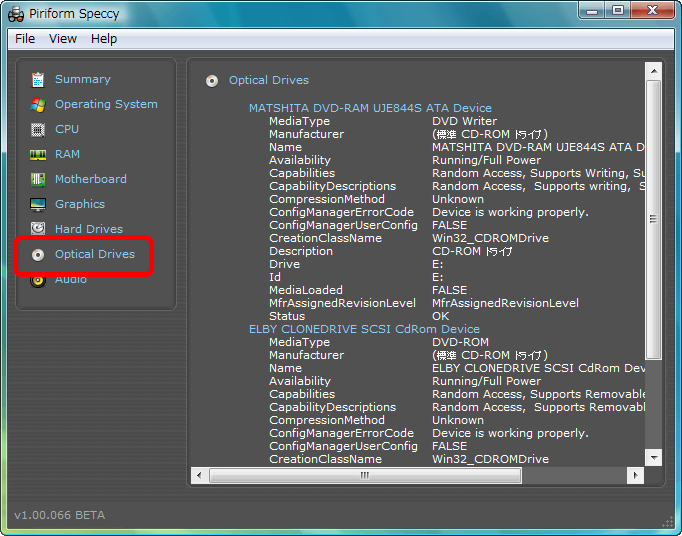 "Optical Drives" tells you info about your CD/DVD/Blu-ray drives, no matter it's real or phantom drive. Seems convenient when you are looking for alternative firmwares for hacking your drives. These information can be saved to a file from "File" -> "Save Snapshot". When you need help on repairing your computer, you may want to send the data to nearest experts to get some advices.